Yaya Toure is likely to leave Manchester City this summer, according to the player’s agent. While he is due to hold crunch talks with club officials in the summer, his poor form has done little to dispel the rumours surrounding his future and recently he admitted he was open to new challenges. 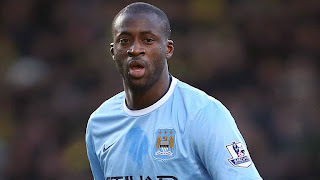 Despite having two years to run on his contract, Toure’s agent Dimitri Seluk has suggested the player will not be at the Etihad Stadium come the start of next season. “It’s 90% certain he’ll leave Manchester City this summer,” Seluk told Sky Sports News. Inter Milan are favourites to sign the 31-year-old after publicly declaring their interest in the midfielder.